L. Hjorth´s pottery factory on the Danish island Bornholm were the first in Denmark to produce stoneware. The first experiments started in 1902 and around 1905 a production was up and running. 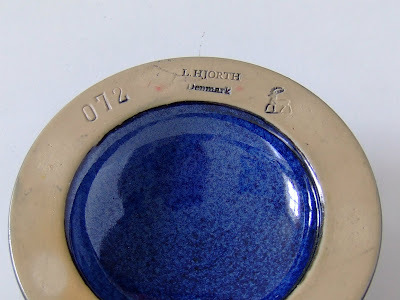 It was L. Hjorth´s son, Hans Hjorth, who was the man behind the first stoneware production. 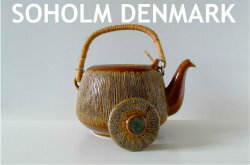 The clay used for the stoneware came from the underground at Bornholm as well as the glaze. 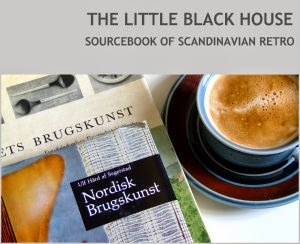 Mainly based on granite, from the rocks that created Bornholm, mixed with local minerals. This procedure was kept for as long as the factory excisted. With the little exception that the local clay later was mixed with a bit of foreign clay to make it easier to work with. 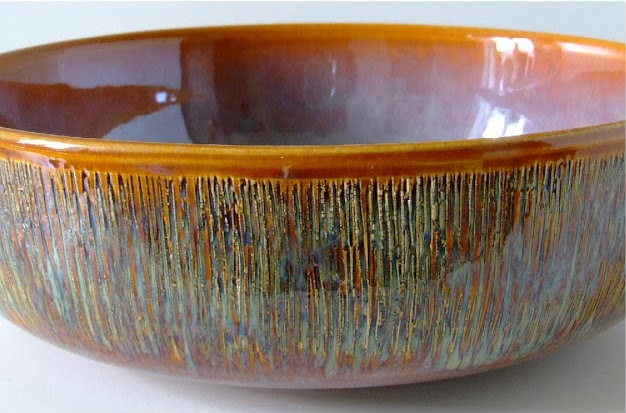 I have lately found some real nice pieces of Hjorth´s stoneware. From what I think must be the 1950s or 1960s. At that time Hans Hjorth had long left the factory. 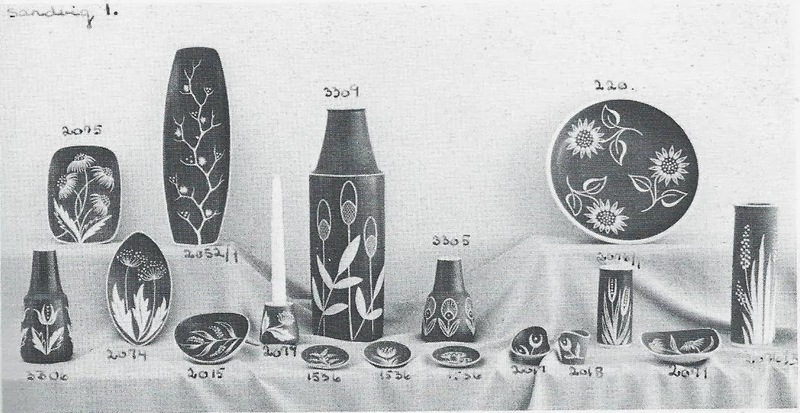 In 1932 he left pottery in favour of painting. But he saw to that his two daughters Lisbeth and Gertrud got the best conditions for becomming the known potters they are today - Lisbeth Munch-Petersen and Gertrud Vasegaard. 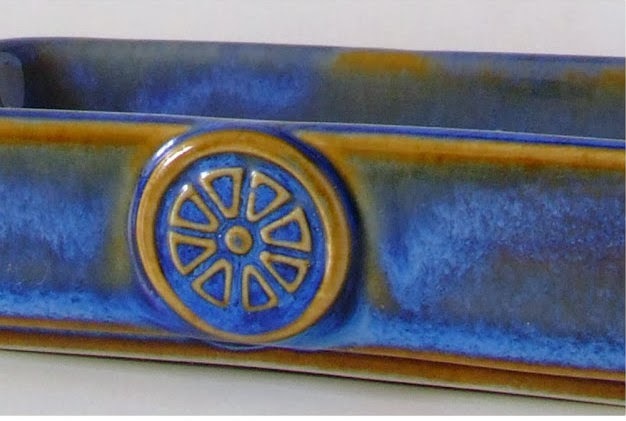 The stoneware pieces from the Mid-1950s and on are mainly produced for local sale but Bornholm being a favourite holiday island to many Danes the pieces easily spread all over the country. In 1959 the third generation Hjorth took over the factory when Erik Hjorth became the owner. He was the son of L. Hjorth´s other son, Peter, and father to Ulla and Marie Hjorth who were the ones to close the factory in 1982. When under their ownership. Today Hjorth´s factory is a working museum. Spennende historie, Birgitte, og flotte gjenstander både når det gjelder form, farve og tekstur. Jeg har ennå til gode å besøke Bornholm, men det er en destinasjon som står høyt på listen! Der er bestemt også dejligt på Bornholm. Så anderledes end resten af Danmark.